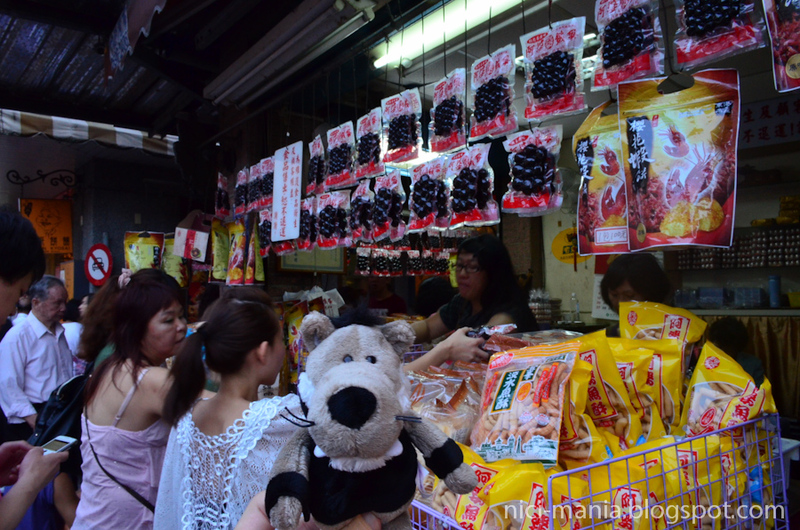 Hugo Wolf says hi from Tamsui district of Taiwan! Day 1 at Taipei and NICI-Mania's first destination is Tamsui! Tamsui district is most famous for the Tamsui old street. Its only 4pm Taiwan time and the crowd has already flooded the entire street. 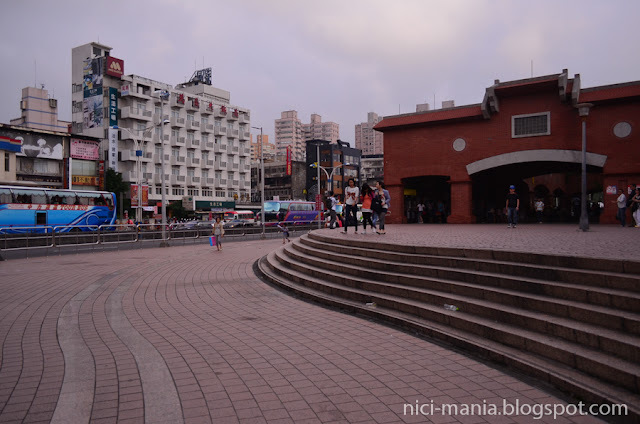 Tamsui is very easy to go, just take the Taipei metro red line and go northbound towards the last station. 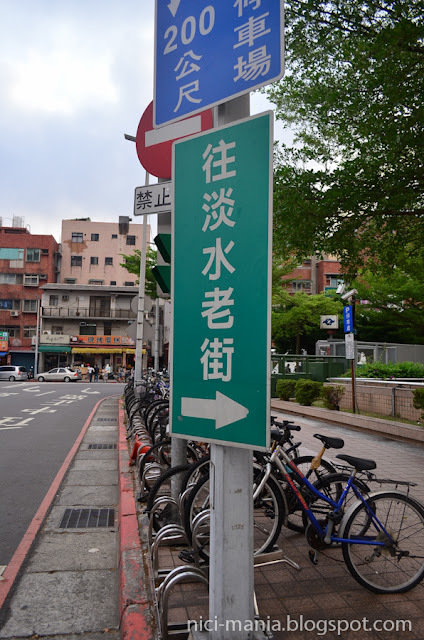 You will see a sign pointing the direction to "Tamsui Old Street"
After following majority of the crowd, we reached the famous Tamsui old street. 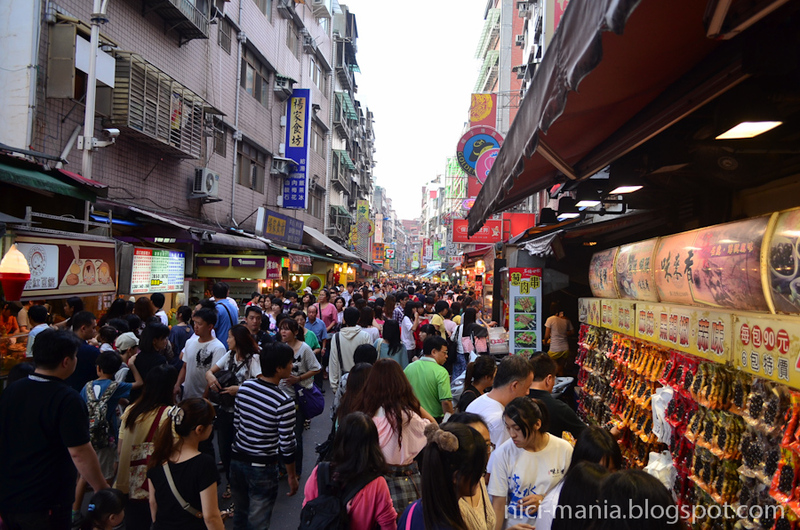 Its very hard to miss because you will see mountains of people and lots of local food stalls. 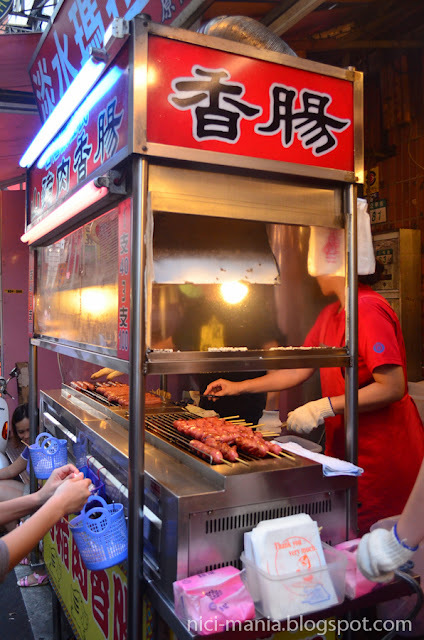 Tamsui old street first stop - wild boar Taiwan sausages! 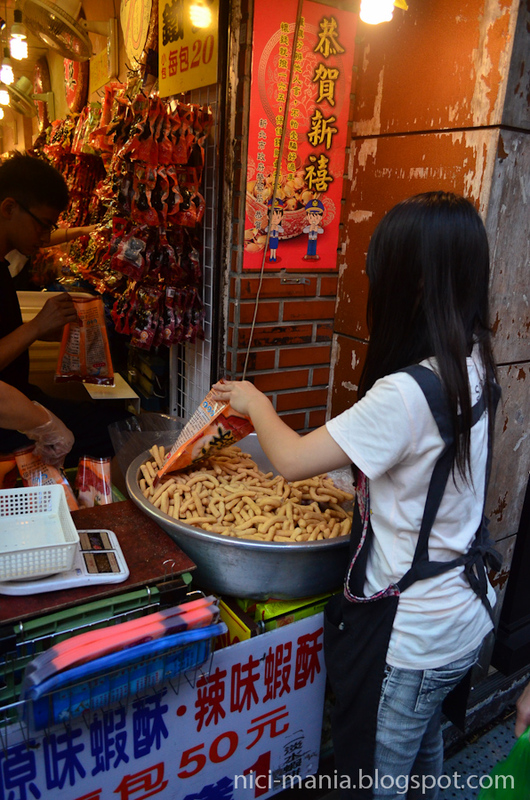 Tamsui most famous for fish crackers!! We bought a lot back home. 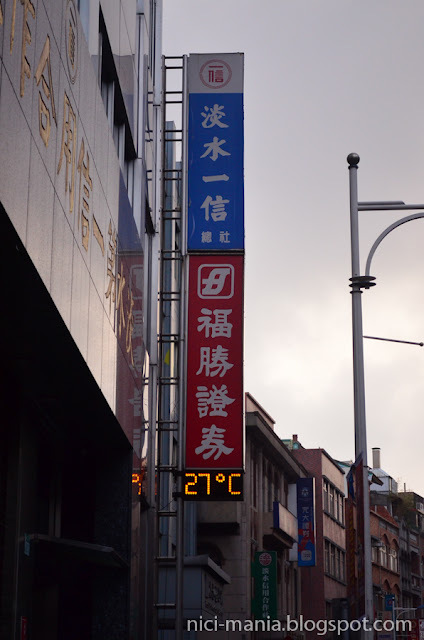 Its autumn towards winter at Taiwan and 27 degree Celsius is considered too crazily warm for this time of the year. At Tamsui, you must remember to visit the Tamsui Ah Po shop selling the authentic and most famous "Ah Po Tie Dan", the legendary 'iron egg'! You must also patron the famous Tamsui fish ball stalls. 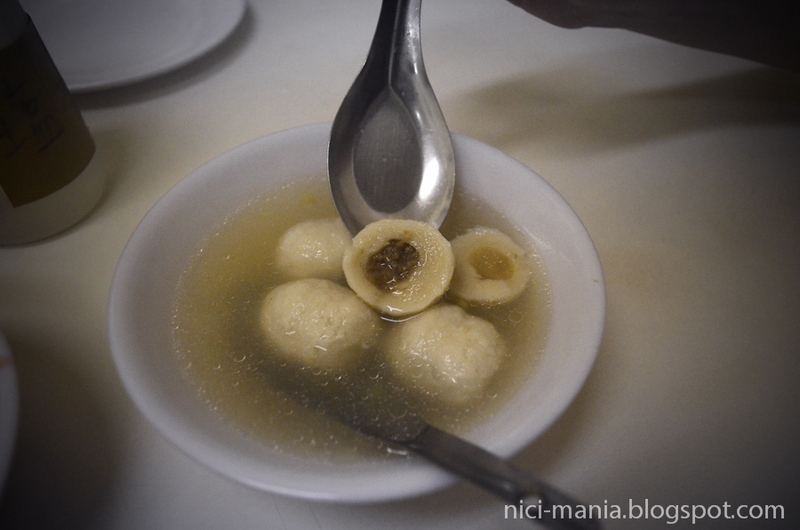 There are many Tamsui fish ball stalls here all claiming to be the authentic one. 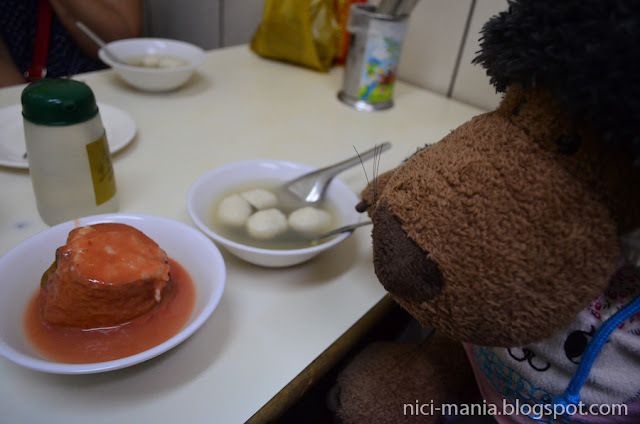 The acclaimed Tamsui fish ball was a huge disappointment. Tamsui fish balls are very different from the usual fish balls we eat here. 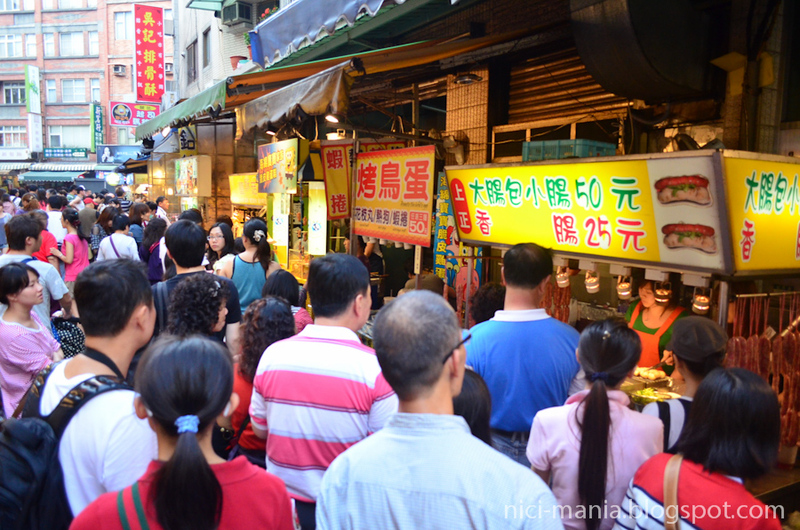 Tamsui fish ball stalls always sell "Ah Gei" together with fish balls. 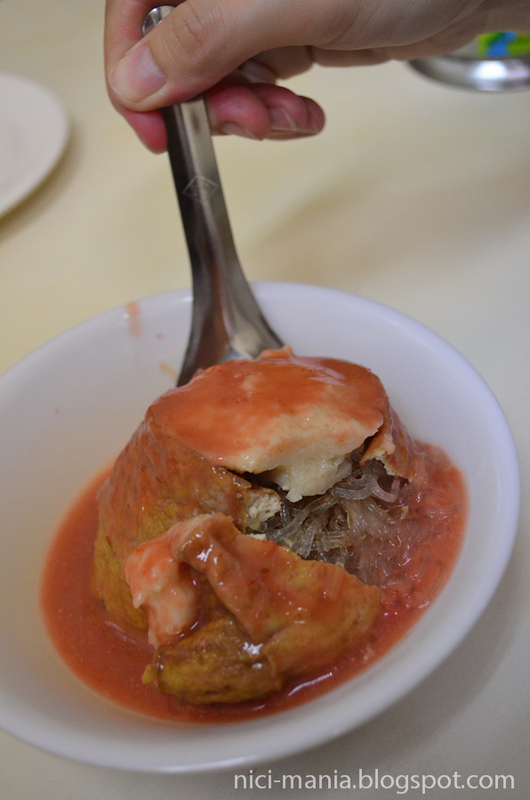 Tamsui ah gei is fried tofu stuffed with glass noodles. Very unique food you can't find elsewhere. Not exactly tasty though. 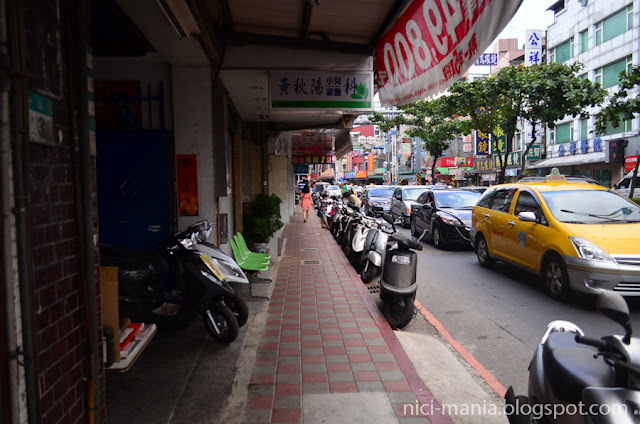 Then we head out towards the harbor side of the Tamsui old street. 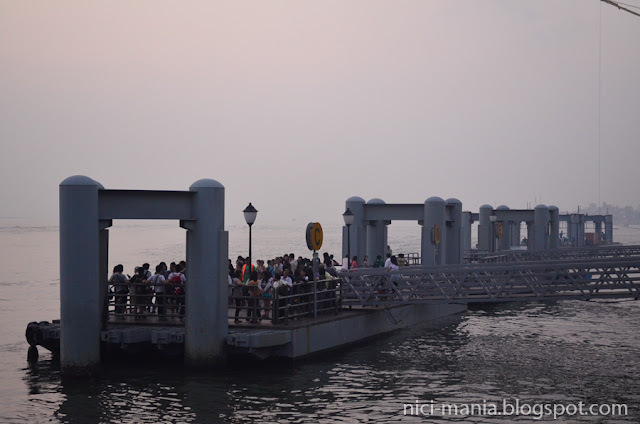 The pier where everyone was waiting at to take the ferry to go to fisherman's wharf, a very well known scenic spot with the famous Lover Bridge accompanied by beautiful sunset. Instead of going to Fisherman's wharf and lover's bridge..We head for more local Tamsui delights!! 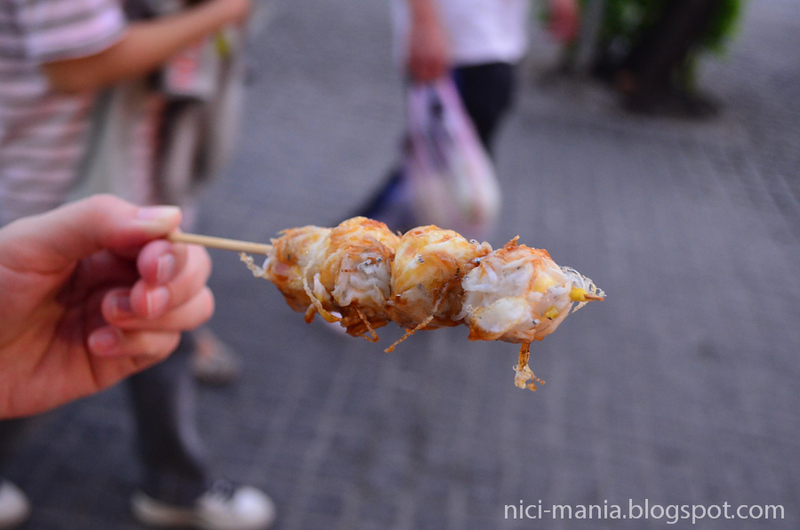 This is a very interesting Tamsui delicacy..they are frying quail eggs with silver fish. 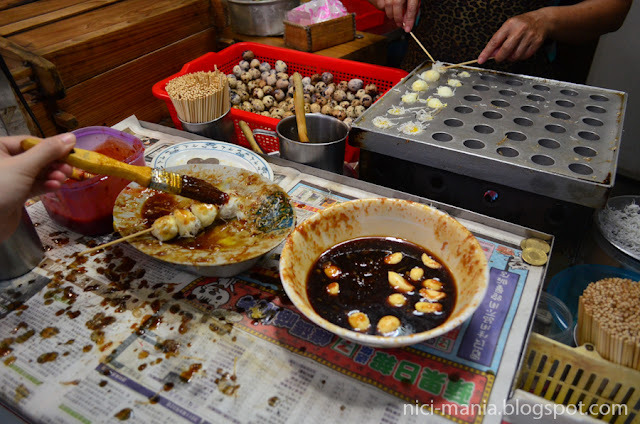 Then you get to brush the quail eggs with the special garlic sweet sauce which is very tasty! 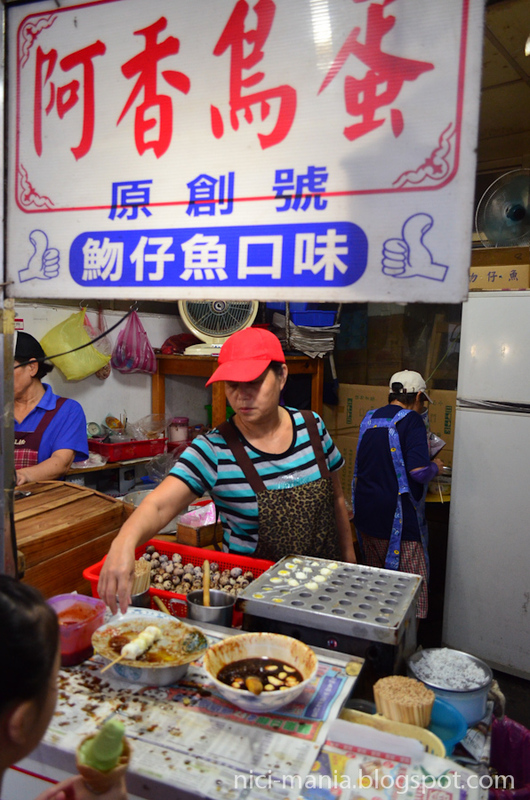 Fried quail eggs with silver fish is surprisingly delicious!! 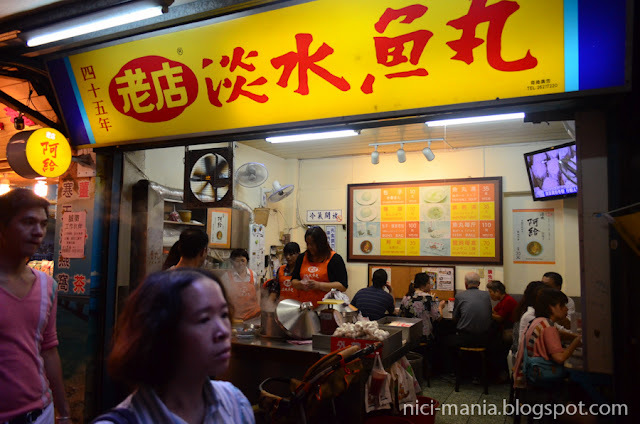 A must try at Tamsui old street. The sun is setting soon, more Tamsui old street pictures coming up! Great photos Hugo, and yummy food! @Leona Löwenherz: its a pity we didnt go to the lover's bridge for sunset! 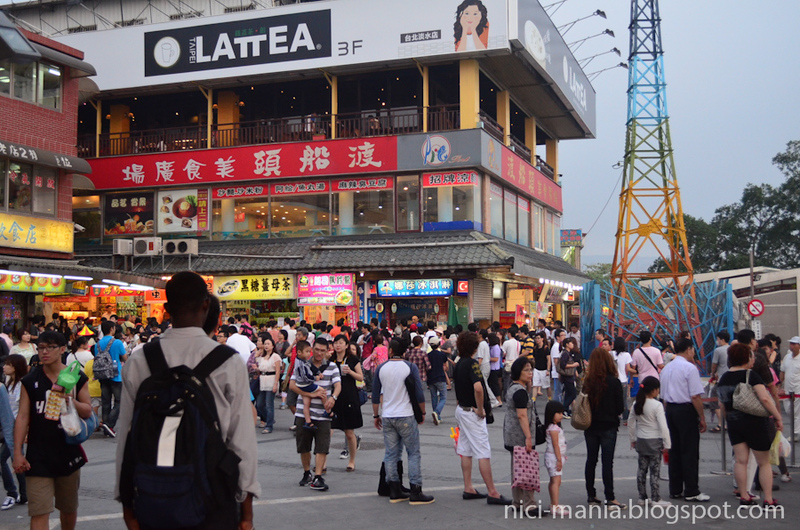 next time we should choose a weekday to visit tamsui where the crowd is not so scary! gong hei fatt choi!! 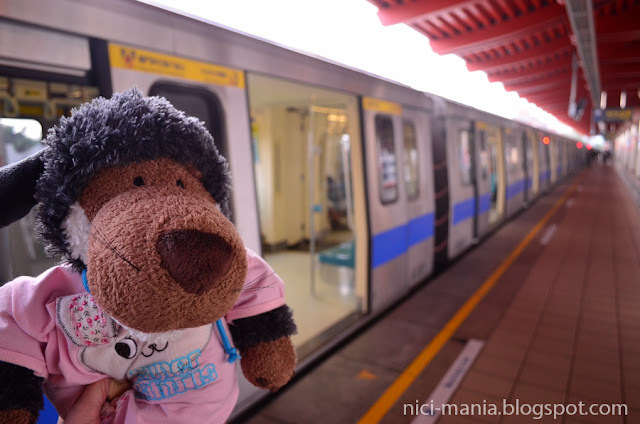 nice trip in Taiwan. 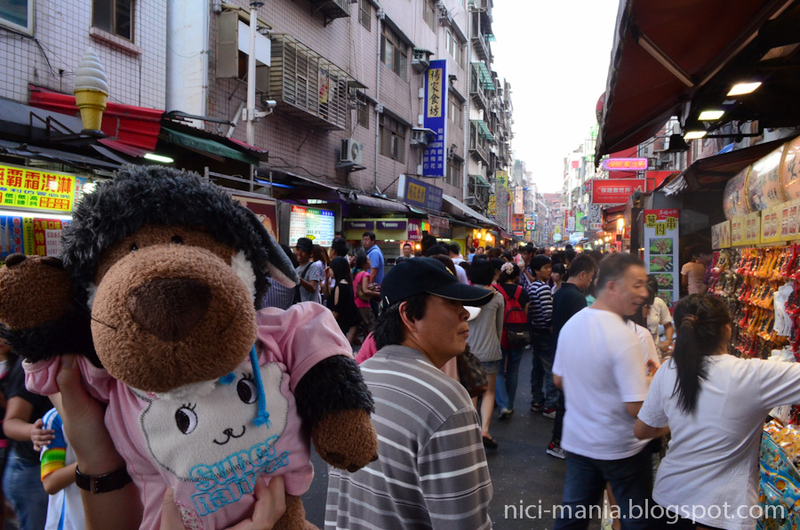 Hugo has his CNY in Taiwan huh?